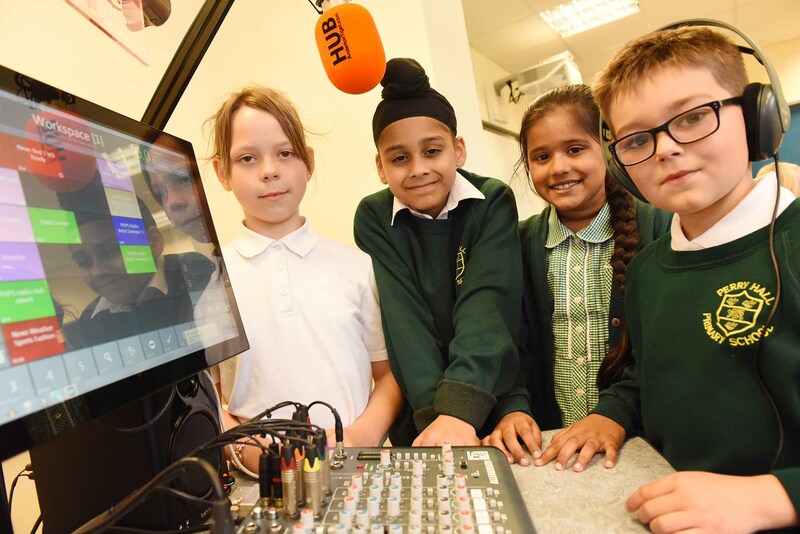 Perry Hall Primary School have invested in a portable radio station. Our pupils run the station and write, produce and edit their own shows with support from staff. Shows are recorded as part of an after school club and then broadcast as podcasts around the school and through a link to on the school website. Pupils throughout the school have the opportunity to work with the station as part of their curriculum work. The PHPS Radio team have visited and worked closely with Dickie Dodd of 107Signal FM, a former pupil at the school, to ensure that our shows are as professional as possible.